Narkel Naru in real life is not filled with anything. They are kind of sticky and sweet and brown (when made with gur). They are also a pleasure to sink your teeth in. The smell of cardamom, gur and coconut is divine and some might say that it is exotic, but for me it is only an innate part of growing up. Piles of grated coconut rested on large brass plates. 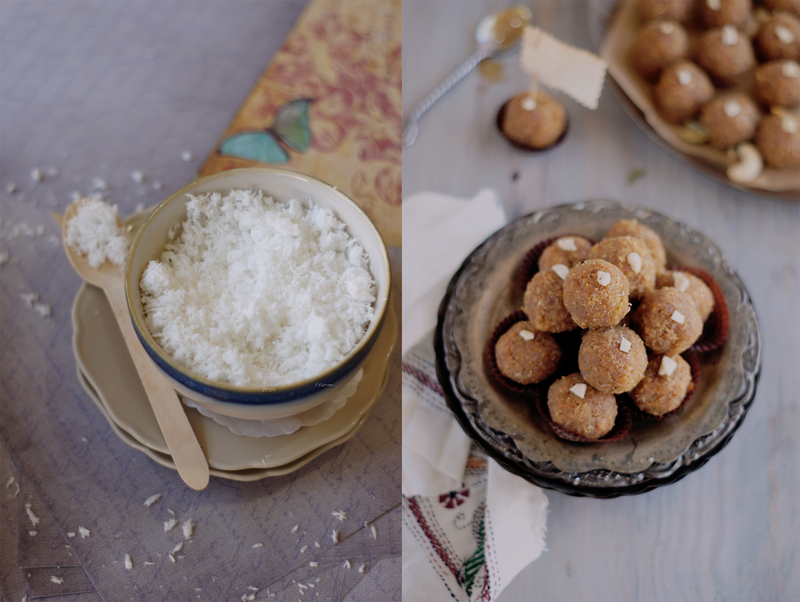 Every corner of the house smelled of melting jaggery/gur and cardamom cooking on the stove. Soon all the coconut would be moved to the kadai and the stirring would start. The mix would warm up slowly turned from a fluffy pale yellow to a stick brown mass and the aroma got more persuasive begging me to taste even before it was done. The memories bring back the hearty, strappy fragrance; robust and stimulating . It is reassuring to me that nothing is lost. The years in between and the distance has only made it stronger and in the process stirring and moving me to give it a try and re-live it all over again. And one such memory of a day drove me to the kitchen and I was already stirring the coconut in the pan before I knew it. 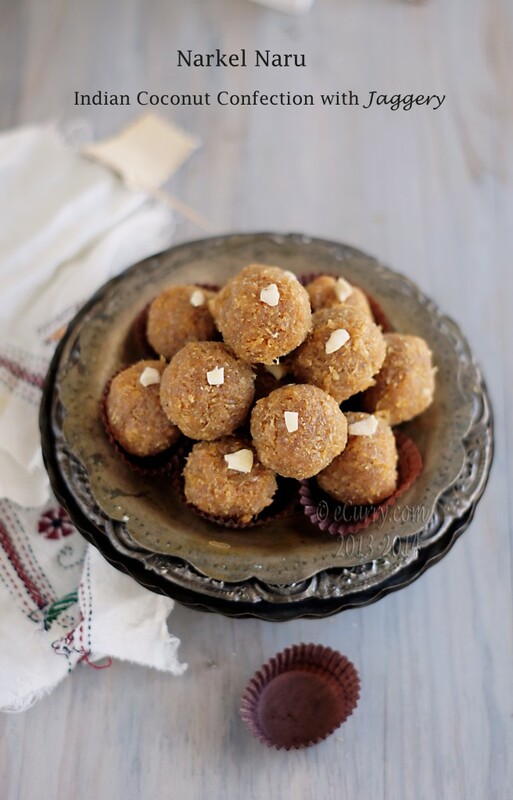 Naru or Laddoo as they are known in most places in India are not exactly a festival sweet. 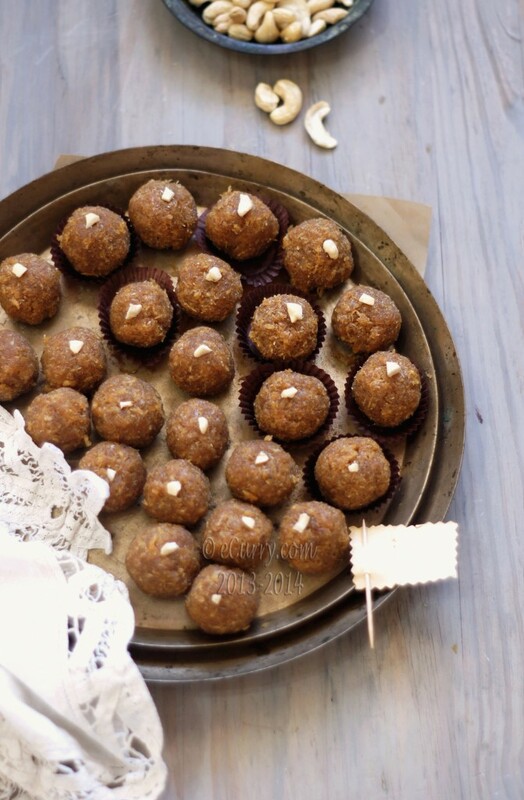 Well, they are in a way because every occasion or festival or religious ceremony has some kind of a laddoo, but they are also an everyday kind of food. I had made the Narkel Naru for Holi – the festival which sets our mind, soul and mood in colors and prepares us for spring. 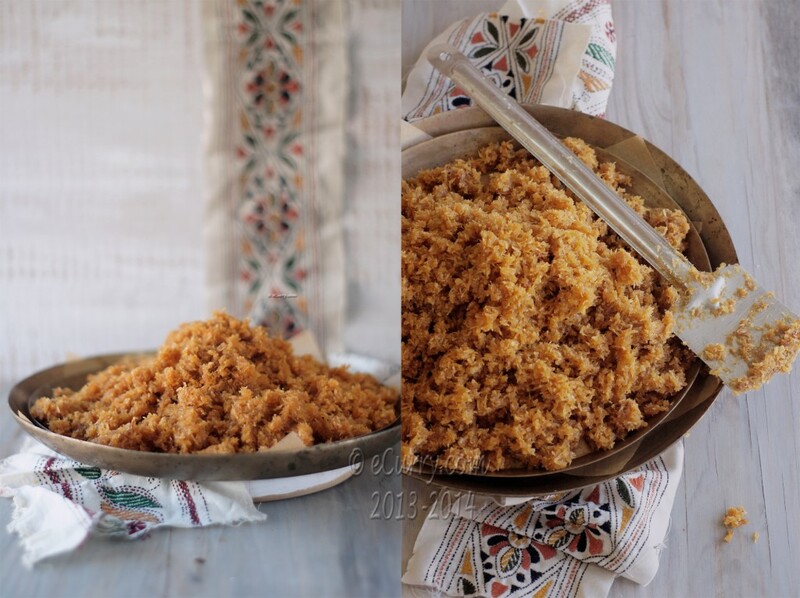 Not that it is typical to make Narus for Holi, but a little bit of taste from back home has always been able to make us happy and observe a festival far away from home. Moving a few weeks forward, we are at the threshold of another new beginning. Poela/Pohela Boishak (the first day of the year) or Nobo Borsho (Nobo is new and Borsho is year) is the Bengali New Year. It is the first day of the Bengali calendar and it is again during the spring time, sometimes during mid April. The day, back home began with prayers, spring cleaning the house, followed by preparations for the rest of the time that would follow. For the children it is about getting a new outfit, participating in social programs and collecting calendars and sweets. Being an auspicious day, new businesses and new ventures begin. I remember store hopping with my dad when I was little and then with my friends when we were big enough, just because every store would give out new calendars and boxes of sweet to mark a new beginning and for customer appreciation. It is also the day for various cultural programs held at different pockets of the town. They are filled with songs, dances and abritti (poetry recitation) – all in theme with the New Year. Boishakhi fairs are held all over the place, promoting local business and handicrafts. While cooking, when the coconut sticks to the spatula and will not fall off when shaken, you will know that the process of cooking is almost complete. The mix now might be sticky enough to roll. Narkel Naru is not particularly a sweet for the Nobo Borsho. The packets that are distributed all around consists of an assortment of sweets and savories. A different spread of food is cooked up in different home. But in India, some dessert is a must for any good occasion. So here are some for you to wish you all the sweetness in your lives. I know we have already bounced into another year, but I want to take this chance to wish you again the very best. Shubho Noboborsho – a Happy New Year to all of you. This Naru is said with not a rolling but a hard R, almost like NaDu. While it is a very traditional Bengali recipe, similar kinds are made in other regions of India too and they are called by different names. 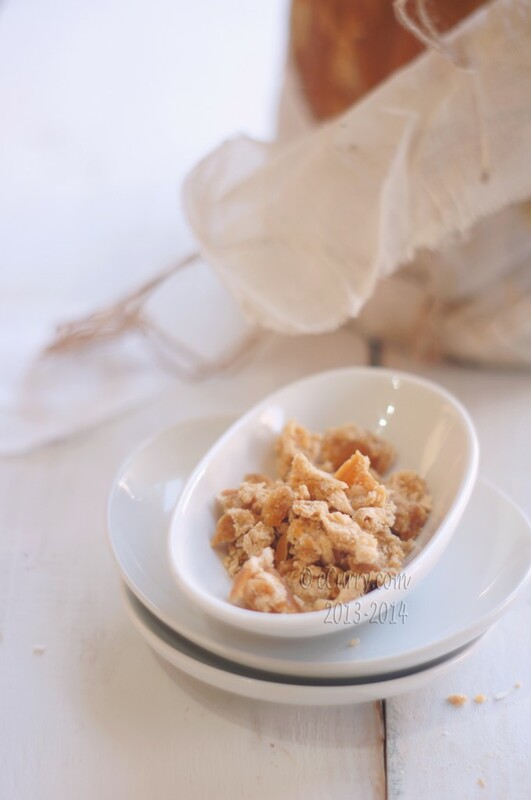 Some narkel (coconut) Narus are made with sugar, while in some milk or thickened milk is used. But this one with Gur (again with a hard R) is our favorite one. 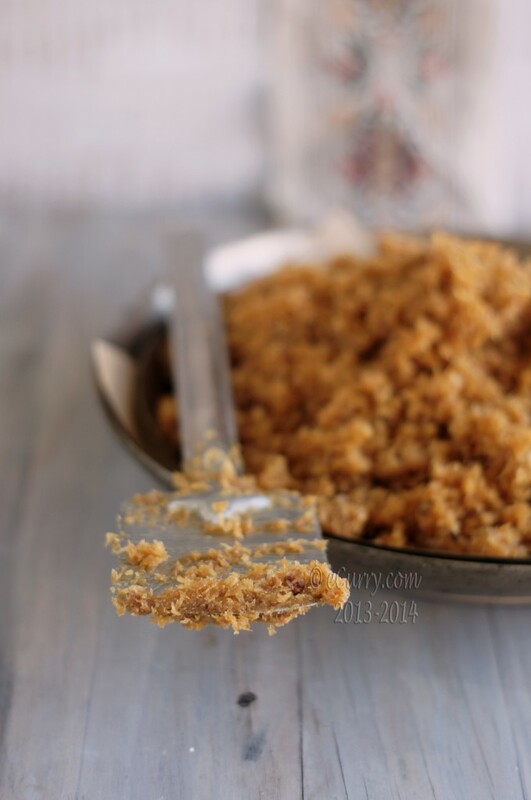 Gur or Jaggery is a concentrated form of cane juice (and also date juice, especially in Bengal ). The color may vary from golden to dark brown. I have such an enormous block of jaggery at home that I had to use the hammer to break it down. 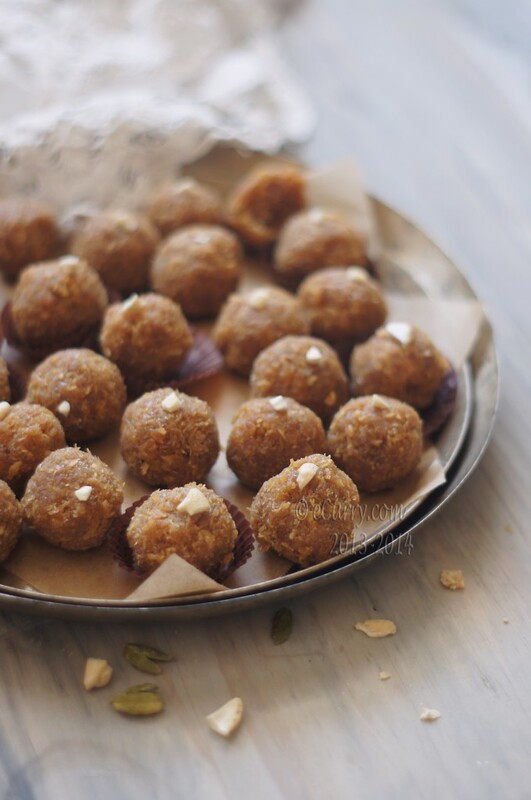 Jaggery is considered auspicious in an Indian household. 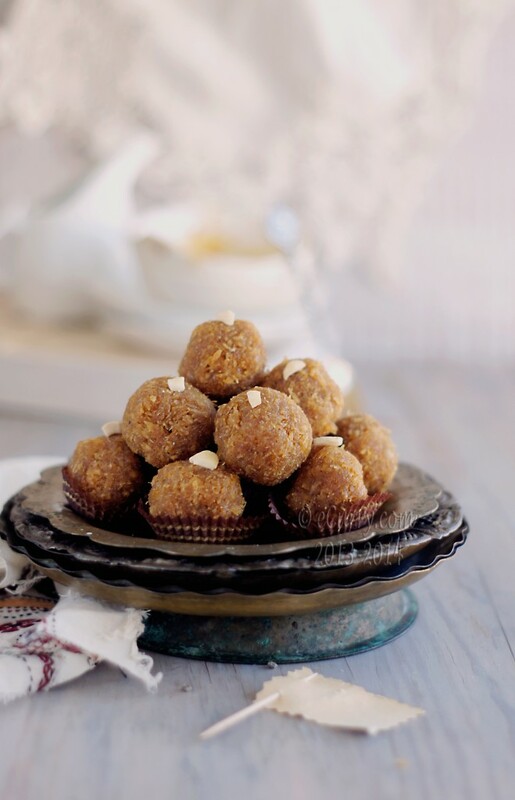 Not only are many desserts used gur/jaggery instead of sugar, the jaggery is also broken in bits and eaten before the commencement of anything important or new. It is offered as prasad during religious ceremonies as well. The flavor it imparts to the naru is rich and deep, quite unlike the ones that are made with sugar. 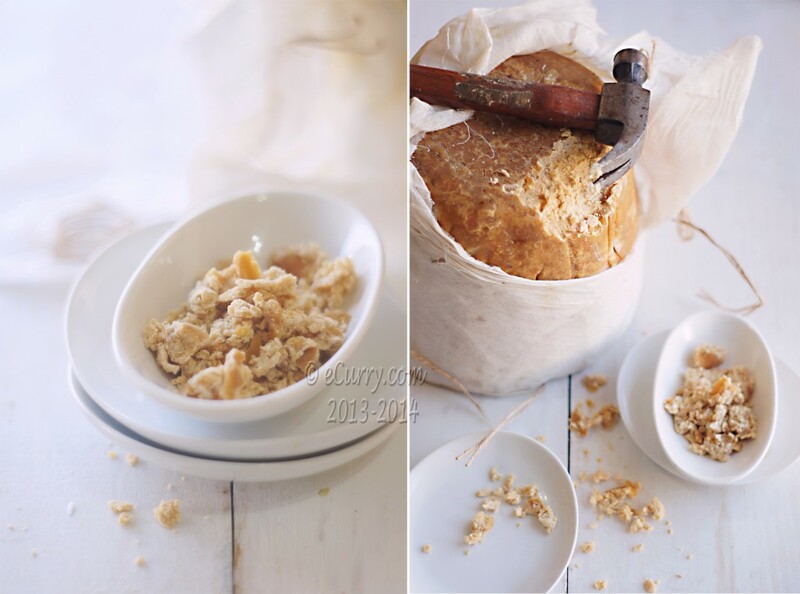 Break the jaggery/gur in smaller pieces. 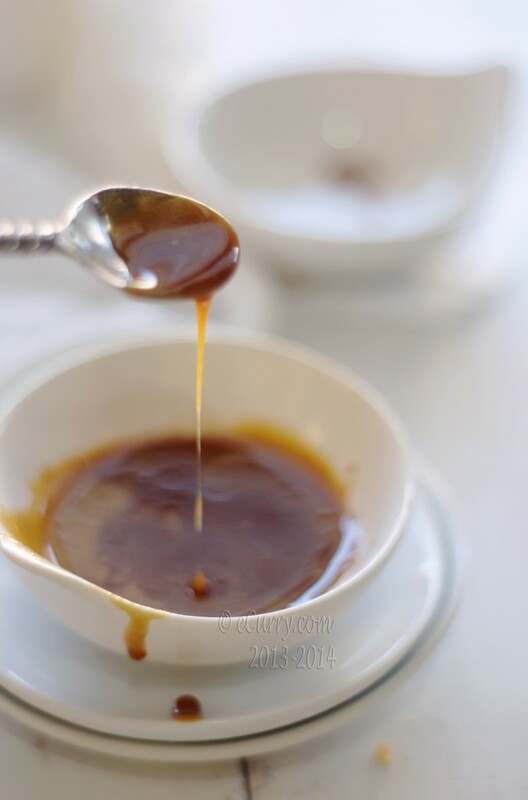 This is an optional step but it makes the melting of the jaggery/gur a bit easier. Heat the water in a wok/pan. Add the pieces of jaggery/gur in the water and slowly stir (at medium heat). The pieces will gradually dissolve and. Then allow it to come to a slow boil. Note: The longer you cook the naru/fudge will be harder. Some like their naru hard (to bite in) while some other prefer it more delicate. Adjust cooking time as per your taste. Keep in mind that the mix gets harder once it cools, so whatever stage you stop cooking, the naru will be harder than that. Now add the cardamom powder and the grated coconut. Toss and stir to mix everything together and cook on low heat, stirring occasionally to prevent sticking at the bottom of the pan/wok. Keep cooking and slowly you will see the mix getting sticky. It will take about 20-30 minutes. You will know it is near done with the coconut coating/sticking to the spatula will be hard to shake off. 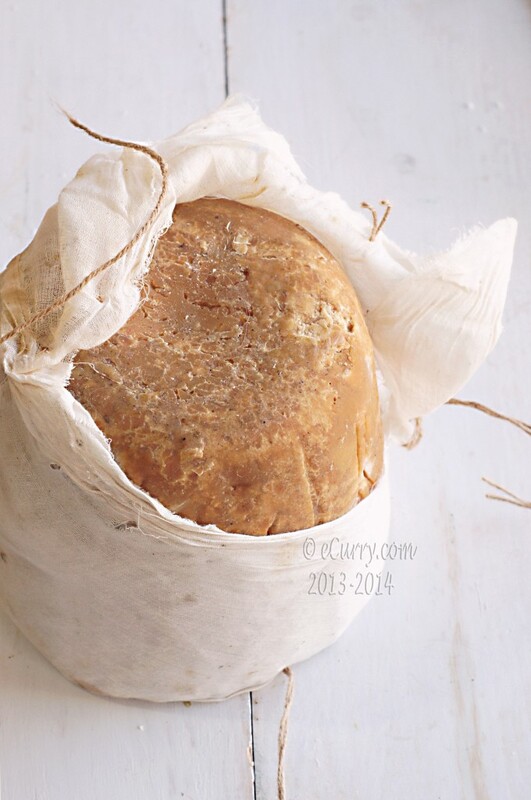 The amount will have reduced too and the jaggery/gur will seem to be hard and sticky on the sides of the pan. Remove immediately from heat and spread it out on a plate. 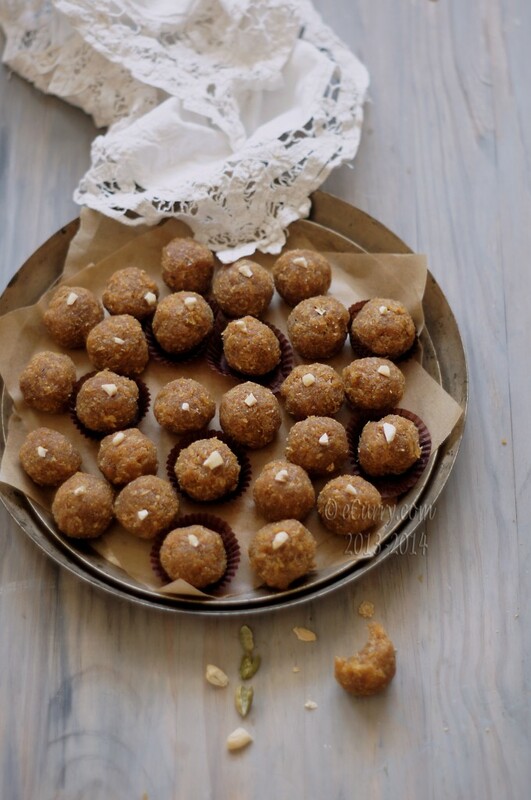 Scoop out a fistful of coconut mix and roll into a ball. The ball/Naru has to be formed while the mix is still warm. It will harden when it cools and you will not be able to give it shape. If you do not want to make spheres, you may spread it in a plate, flatten the top and slice the spread in squared/diamonds, more like a burfi. Garnish with nuts if you want. 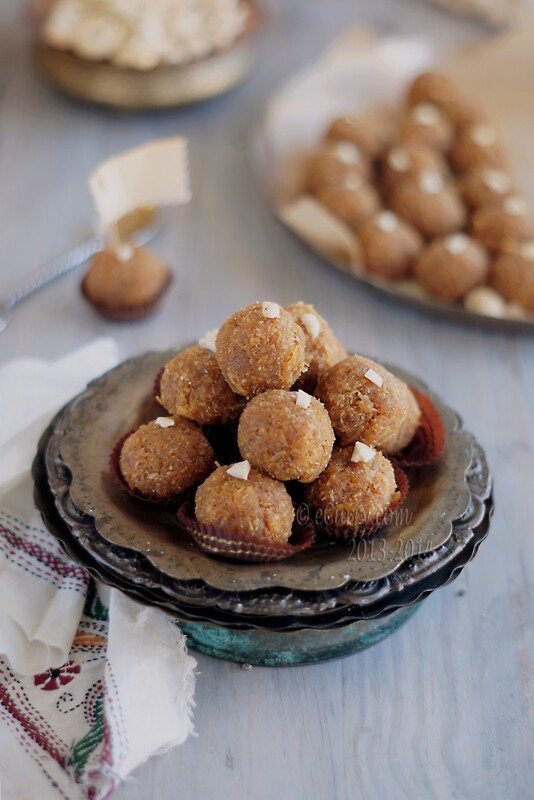 Besan ki Burfi – A Chickpea Fudge? Exquisite! That is one wonderful treat. Shubho Noboborsho to you too! I just checked about it in Wiki and found out that the King Shoshangko started it around the 6th century AD. I was surprised initially as my father sent me happy new year wishes (Vikram Era)yesterday and I found it interesting to note that it coincides with the Bengali calender. But then both use lunar calenders, I assume, so it makes sense. The narus look beautiful but reading your personal memories made it even more beautiful! I just love your photography. It makes me feel peaceful. Excellent pics of wonderful looking narus. Belated Shuvo Nobo Borsho, Soma. Can’t never have enough narkel naru, dearly love it. I’ll bet I could eat the whole lot by myself. Can anyone over here tell me how much calories does per piece of a small size narkel naru contains without any nuts and all over it. I am not a nutritionist. Sorry I do not know how many calories!